The Wall Street Journal is the latest major publication to crack down on trolls and spammers. As technology advances, human moderators remain essential. Will The Wall Street Journal Win A Pulitzer This Year? As the hip hop community and fans around the world continue to mourn the untimely death of rapper and activist Nipsey Hussle and prepare for his large-scale memorial service this week at the Staples Center in Los Angeles, the Wall Street Journal honored Hussle as an entrepreneur, investor, and innovator. Facebook is in talks to develop an underwater data cable that would encircle Africa, in an effort to drive down bandwidth costs and sign up more users. Tesla said new-vehicle deliveries in the first quarter fell 31% from the previous three months as it struggled to ship its Model 3 to Europe and China. Why Nudge.ai? Reach out to the decision makers at Wall Street Journal with a personalized email - let them know that you found their recent news mention interesting. Nudge.ai’s relationship intelligence platform can help you find the right executive to reach out to at Wall Street Journal, such as Rajiv Pant, Deputy Cto, or Robert Welch, Vice President, Multimedia Sales. Then get in touch and start a conversation. Executives can be difficult to reach, but every company has connectors who bring together people and ideas. At Wall Street Journal, people like Sara Mascall, and James Gardner are likely connectors. 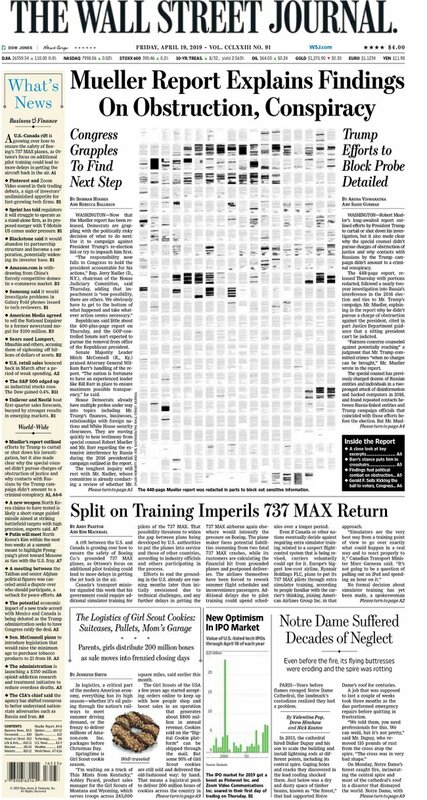 When Wall Street Journal is mentioned in the news, Nudge.ai often sees topics like Government, and Apple. If your conversation focuses on these topics, you’ll probably get Wall Street Journal’s attention. When Wall Street Journal is mentioned in the news, companies such as The Globe And Mail, Netflix, and Instagram are often also mentioned. These companies can serve as customer examples. Employees who are often in the news are usually open to starting conversations or exploring ideas. Nudge.ai's sales AI saw Douglas Macmillan, Ben Dummett, and Jonathan Cheng from Wall Street Journal recently mentioned in the news. As Google deals with a year of employee-instigated scandals, Google is officially warning its employees that its internal bulletin boards are not a free-for-all for nasty, negative, damaging posts. Jeremy King, who led Walmart Labs since 2011, will step in as the online image-sharing site’s head of engineering, as it gears up for an expected initial public offering. Who in your network can introduce you to Wall Street Journal? Nudge.ai finds the best pathway to reach contacts at this company.